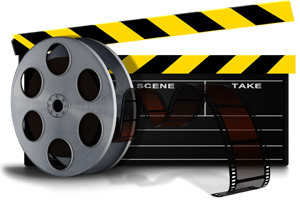 We receive audition enquiries on a daily basis to supply babies for parts in films, TV, Magazine and Web editorial and advertising work. 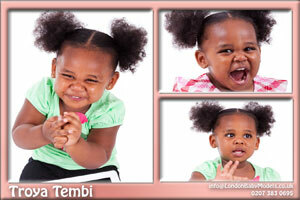 On castings, you will meet a variety of industry professionals. 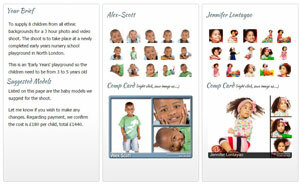 Handing them a printed comp card is quick and easy and ensures that baby will not be forgotten. 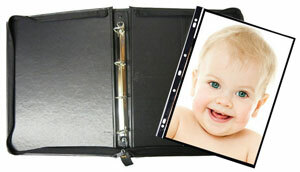 A printed A4 portfolio an extremely useful tool to maximise baby's chances of getting booked during auditions. 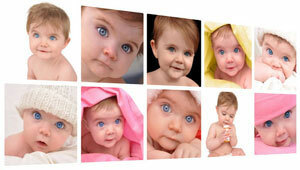 Maximise the chances of baby being booked with a stunning model profile. 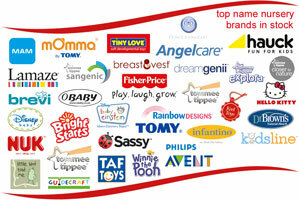 One of the reasons for our outstanding success is our method of client quotes - take a look! After you apply, if we like what we see, you will be invited to register with us. 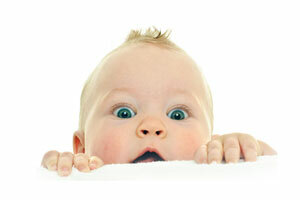 Wow factor profiles of the best of London's top baby and toddler talent - password protected!